One nice thing about playing a sport in college is getting to travel as a team. No one enjoys a long bus ride, but it is much more tolerable if shared with people you enjoy competing with. Everyone knows how long a bus ride can seem after a loss, though. It really is not the most enjoyable experience. No one is a fan of the silence that losing brings. 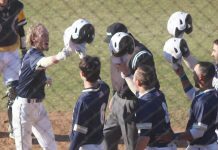 After starting the season with two losses to fifth ranked USC-Aiken Pacers, the Shepherd Rams baseball team can’t seem to catch a break. Their third game south of the border resulted in another loss, this time falling to the Pacers by a score of 5-1. South Carolina-Aiken was clinging to a one-run lead in the third inning when they broke the game open. During their half of the frame, the Pacers scored three runs on four hits. Bryce Bauer, Ty Barkell, and John Fidanza each drove in a run during the inning to highlight the rally. Dylan Garten scored the lone run for the Rams. 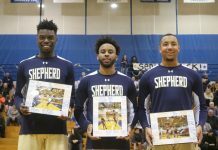 Davis Hall took the loss for Shepherd. After starting off the season with three straight losses, nothing would remedy the situation quite like beating your next opponent, Winston-Salem State. From the start of the game, it appeared that was Shepherd’s plan. In the top of the second inning, outfielders Michael Lott, Kyle Porter, and Queen Anne’s County High School alum Jake Cook recorded RBI singles to give the Rams a 3-0 lead. It was all downhill after that. Winston-Salem State cut the lead to two in the bottom half of the inning, and then a home run by Conner Andrus in the bottom of the sixth cut the lead to 3-2. Winston Salem State tied the game on the seventh on an RBI-single by Travis Moore. Winston-Salem State plated the game-winning run in the bottom of the eighth when Brandon Harrison singled and later scored on a sacrifice fly off the bat of Aaron Jones. Sophomore Matt Copley took the loss for Shepherd. 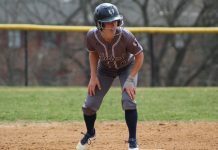 Shepherd fell to Shippensburg by a score of 10-2 this past Saturday. Details of the encounter were not available at press time. The loss sees the Rams fall to 0-5. 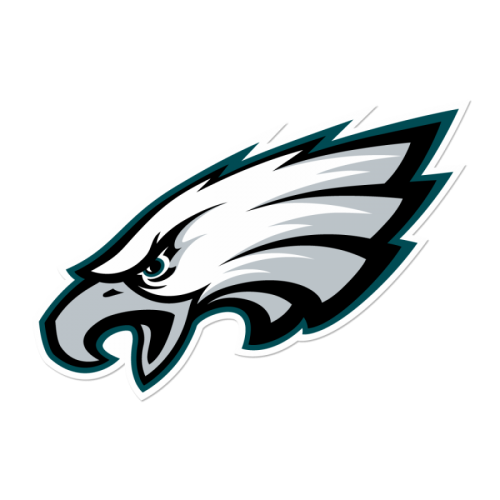 The 2012 WVIAC Champions take on Davis & Elkins on Sunday at 10 A.M. Their next game is away to West Virginia Wesleyan on February 27th, and then play their first game on March 2nd, when they will take on Millersville.